The Swansea Little Theatre began their five night run of performances at Southend, Mumbles, of their latest undertaking, the 18th Century William Congreve comedy, The Way of the World. Dylan played the part of the foolish young Witwoud. 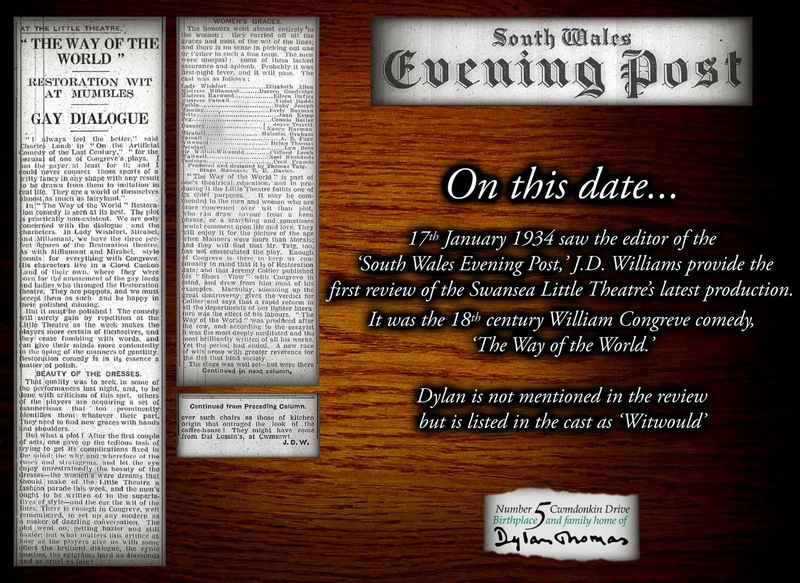 The programme however, listed him as ‘Dilyn’ Thomas.